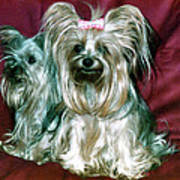 So precious and a great capture of the spirit of these Yorkies. As always, so well done, Phyllis. Thank you, Michael, so very much! I did "Pet Photo's by Phyllis" for one season around 1980. I travelled to the location and took many types of "Pets". Of course I couldn't bring myself to charge enough to make it profitable, but I sure had fun! Lovely capture phyllis, they look like ours, think they rule the house!! They do !!! Thank you very much, Alan! Most appreciated. I love these little guys too. Our house is ruled also, only by a beautiful calico cat! She is so spoiled! This is so Cute! 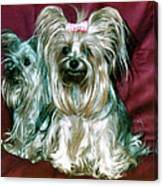 Reminds me of my little Yorkie that i had a few years back. Thank you, so very much, Mary! We believe they are a most adorable of dogs! Thank you, so very much, Catalina! Thank you Mark, so very much! Most appreciated. This is so sweet Phyllis, L/F! Thank you, so very much, Donna! Wonderful capture of these two cuties revisited! Thank you, so very much, Michael. So glad the you have some. They are my favorite, I do believe! Smiles! shared ! thank you for the feature ! Your welcome and that you for the share! Thank you, very much, Angela Davies! Thank you, very much, Lee! Thank you very much, AnnaJo! Smiles! Such beautiful pampered pets. Great capture. Thank you so very much, Irving for your lovely comment. Very appreciated! Thank you, so very much, Bobbi! Thank you, so very much, Mary Chris! Thank you, very much, Barbara! Great capture! 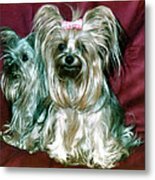 Very elegant doggies! With friendly greetings from Russia, Alex. Wish you success! Thank you, Alexey. Your greetings are graciously accepted! Wow! You have really captured their spirit, Phyllis! Just lovely! Hi Michael! Thank you for your wonderful comment! Good to hear from you! Me too! ;-) Thank you, TN! Thank you, very much, Pat Purdy for your lovely comment!! Thank you, very much, JoAnn! 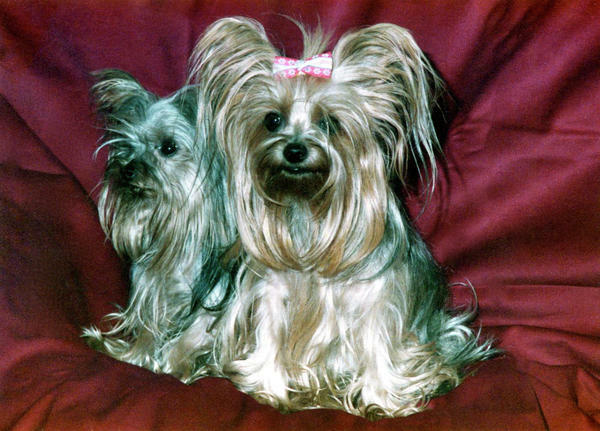 I photographed the Yorkshire Terriers 30 years ago, in Reno Nevada. They were absolutely adorable! I love the prints on metal.